Dedicated non-profit professionals who share a passion for our mission—Cazadero’s administrative staff works tirelessly to bring the love of music and learning to youth. Our Cazadero Music Camp faculty and guest conductors are all highly accomplished practicing musicians and music educators. Counselors are all music students at the university level and Counselors-in-Training at the high school level. Even our kitchen and maintenance staff members are often musicians! Cazadero selects staff not only for their musical skill but for their passion for teaching music and their ability to effectively mentor youth. We recruit guest conductors each year from top universities and high school music programs to lead the orchestras. The guest conductor program ensures ongoing variety and new musical challenges each week. 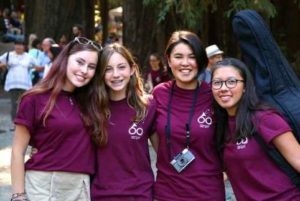 Please visit our Jobs Page if you’re interested in applying for a summer job at Cazadero Music Camp. Emily Wainacht was a Caz camper for five years and then served as Caz staff for five years. She simply can’t stay away and is thrilled to return in her new role leading Cazadero Music Camp. She relocated from Los Angeles where she had been working for LA Opera since 2012. She has held a variety of positions with arts organizations such as The Broad Stage, LA Chamber Orchestra, Piatigorsky International Cello Festival and the Oberlin Artist Recital Series. She credits Caz for helping to shape her musical path, eventually earning two degrees in trumpet performance: a Bachelor of Music from Oberlin Conservatory and a Master of Music from University of Southern California. She also earned a Bachelor of Arts in Pure Mathematics from Oberlin College. 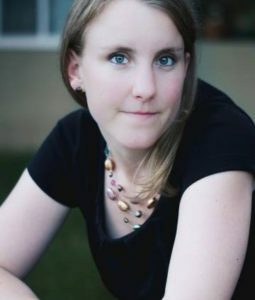 She studied at Aspen Music Festival in 2010 and completed the American League of Orchestras’ Essentials in Orchestra Management course in 2015. In her free time she enjoys hiking, running and cooking with her husband Andrew. Cazadero Camp Director/Artistic Director Jim Mazzaferro is a thirty-seven year veteran in music education, with extensive experience teaching at the middle school, high school and college level. In 2016, he retired from his position as Director of Instrumental Music at Sheldon High School in Sacramento, California, where he taught Concert Band, Jazz Band, Symphonic Band, Marching Band, String Orchestra, Guitar, and Advanced Placement Music Theory. Jim continues as an Adjunct Professor at Cosumnes River College where he conducts the Orchestra. Jim was named 2005 Teacher of the Year in the Elk Grove Unified School District. He was named a Bandworld Legion of Honor Laureate in 2012 by the John Philip Sousa Foundation. 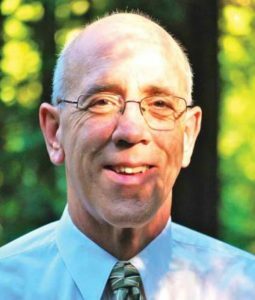 In 2017, he received the CMEA Hall of Fame Award, honoring his lifetime achievement in music education. A professional bassist, Jim has been associated with Cazadero since 1970 when he attended the music camp at the suggestion of his Junior High School music teacher. He returned every year until 1975 as a camper, graduating to Counselor-In-Training, Counselor, and Utility Crew member. Jim was thrilled to return to Cazadero in 2001 as its Camp Director/Artistic Director.